There was a party in the house Saturday night, and partygoers had plenty of nostalgia to cheer about. 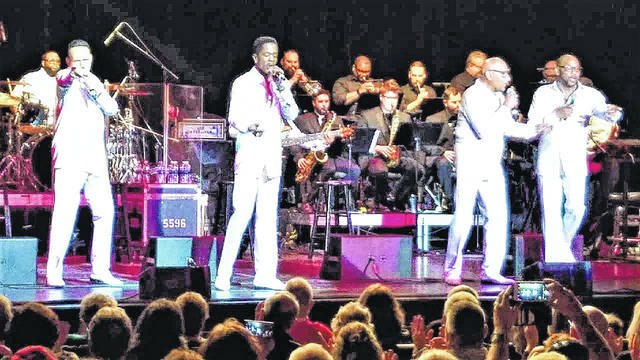 The Four Tops, a vocal quartet from Detroit that helped define the city’s Motown sound during the 1960s, showered their audience with a musical walk down memory lane, recalling the classic hits from the group’s heyday, many that had the audience singing along. 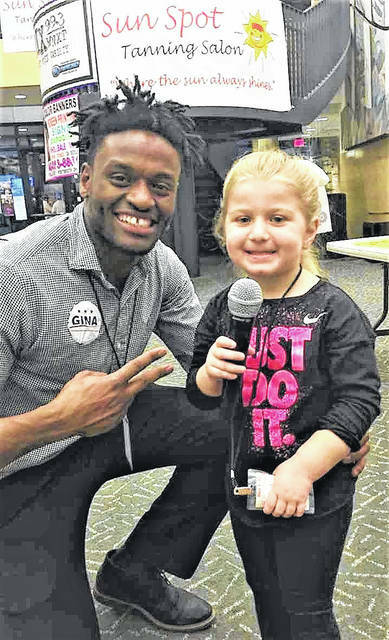 The Sun Spot Tanning Salon’s Radio’s Rock n’ Roll Party 19, sponsored by Hometown Radio of Portsmouth and Shawnee State University, returned to the Vern Riffe Center for the Arts for yet another profit-free show completely supported by sponsors and ticket sales. Now in its 19th year, the Rock n’ Roll House Party has become one of the longest running tributes to original rock music in the country. One of the greatest groups of Motown, The Four Tops wowed the crowd with hits like “Baby, I Need Your Loving,” “I Can’t Help Myself (Sugar Pie, Honey Bunch),” “It’s the Same Old Song,” “Reach Out I’ll Be There,” “Standing in the Shadows of Love” and many more crowd favorites. 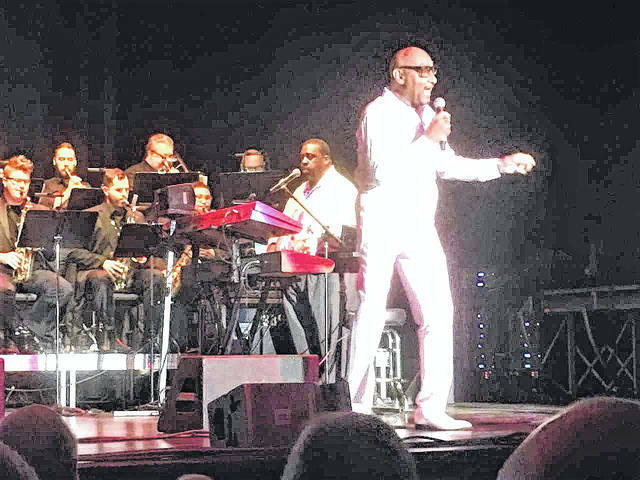 With 16 Top 20 songs to their credit on the Billboard Hot 100 music chart, the group showed why its music continues as a Motown staple, and Saturday night’s unforgettable performance was testament to the band’s enduring legacy. The evening kicked off with the annual Rock n’ Roll House Pre-Party live broadcast on MIX 99.3 in the lobby of the VRCFA. Opening for The Four Tops this year was Lucasville’s The Josh Stewart Band. Oscars Restaurant at the Holiday Inn hosted the after-party following the show, with D.J. “Franky Frank” providing music and fun for the night. Since the year 2000, an experiment to see how vintage rock and roll acts would fly in the state-of-the-art performing arts center at Shawnee State University has flourished. Since the inaugural show that helped kick off the millennium, more than 300 million selling rock/pop recordings have been sung on stage by the original artists. Event organizers are already starting to plan next year’s 20th anniversary Rock n’ Roll House Party. Since the very first show in 2000, about $1.12 million has been spent on acts alone. Visit vrcfa.com/events/rock-n-roll-house-party-19-the-four-tops or call 740-351-3600.